The Order of British Columbia was established by statute on April 21, 1989, to recognize those persons who have served with the greatest distinction and excelled in any field of endeavour benefiting the people of the Province or elsewhere. The Order represents the highest form of recognition the Province can extend to its citizens. The insignia of the Order of British Columbia consists of a stylistic dogwood, the floral emblem of British Columbia. The insignia is part of a medal which also features a crowned shield of arms. It is worn with a green, gold, white and blue ribbon. In addition to the medal, members of the Order receive a Certificate of Appointment. 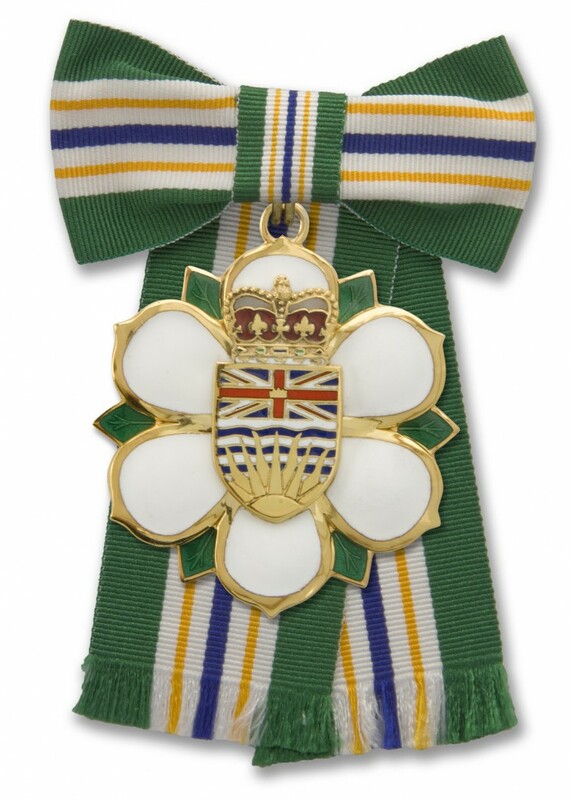 Order of B.C. recipients participate in a special ceremony at Government House in Victoria. The Lieutenant Governor of British Columbia, Chancellor of the Order of British Columbia, honours the new members with a medal and a personalized Certificate of Appointment. Members then have the right to place the letters O.B.C. after their names.